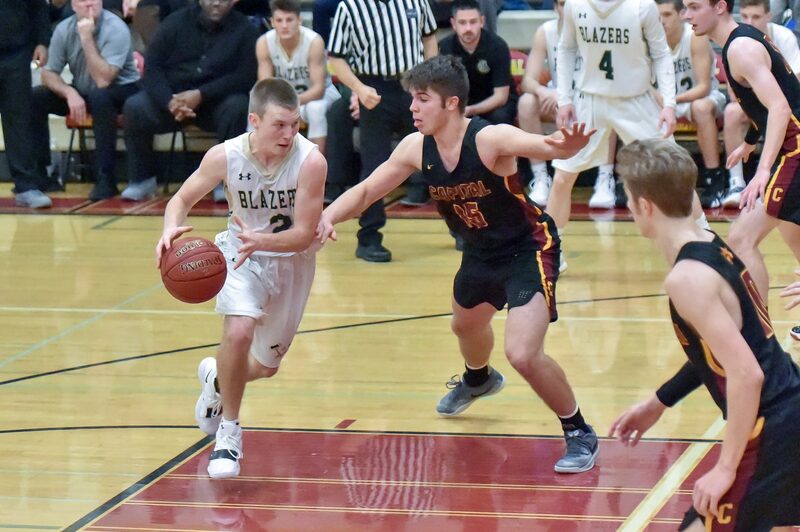 Senior guard Hunter Campau drove for a lay up with 1.8 seconds left to steal a 56-55 victory for the visiting Timberline Blazers Friday, December 7 at Capital High School. The victory for the Blazers (3-2 overall, 2-0, 3A SSC) puts Timberline in a four way tie for first place in the South Sound Conference. League favorite Capital (2-2 overall, 0-2, 3A SSC) played to its second straight one point defeat and will need to reset moving forward in league play. Timberline hosts Kelso Monday night while Capital travels to Hudson’s Bay.